This will be the inaugural Run to Educate 5k, taking place at Bond Park in Cary. Runners may participate individually or compete in 4-person teams. No course information has been posted yet, but previous races held at Bond Park have consisted of cross country courses with mixtures of trails, grass, and asphalt. The All India Movement (AIM) for Seva is not just a ‘schooling’ initiative. Nor is it for merely sheltering the underprivileged. 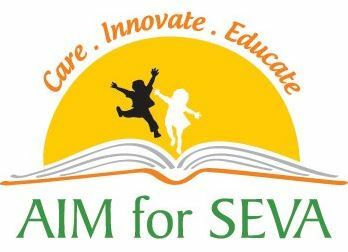 AIM for Seva is an integrated community development program, reaching out to rural and tribal children across India. Our story began with a deep understanding of rural India’s problems: be it the commute to schools, domestic pressure or lack of extra-curricular activities in education. We thus proposed a solution that has now brought the school to the child’s doorstep: providing access, enhancing the quality of education, providing life skills and an environment that is conducive to learning: AIM for Seva Free Student Homes. An FSH is an activity center, a classroom and a learning institute put in one. Empowering children to learn by providing them a place to live close to their schools; with a clean environment, nutritious food, schooling needs, value-based education, extra-curricular activities and much more. So that they don’t just keep up with the rest, but lead a life-ready childhood to contribute to their family, society and the country as a whole.